PMI volunteers including PMI Senior Champion Jaydeep Chakraborty and PMI Champion Subhajit Ghosh from the PMI West Bengal Chapter conducted a threeday workshop on project management for improved program implementation for the social sector organization, Save the Children, and its partner organizations in Kolkata. The workshop was held on 10, 11 and 17 March under the organization’s New Horizons Program that aims at skill development and employment generation. Save the Children works in the areas of child protection, child poverty, education, health and nutrition, disaster risk reduction, and climate change adaptations. The workshop was divided into three streams. Day one focused on the basics of project management where core concepts of project management were applied to the participants’ areas of work. The next day they learned about various aspects of risk management for ongoing programs such as understanding the difference between risk and issue, risk profiling techniques and strategies, risk analysis, and probability-impact analysis. On the last day of the workshop, there were sessions focused on detailed analysis, brainstorming, and structured discussions. Over the first two days, Chakraborty and Ghosh gathered inputs from the participants on their pain points in various ongoing projects. On the last day, they helped the participants craft a response strategy to some of those perceived risks. PMI West Bengal Chapter also organized its first PMP examination preparatory session on the sixth edition of A Guide to the Project Management Body of Knowledge (PMBOK® Guide). It was a four-day workshop over two weekends, on 10-11 and 17-18 March. 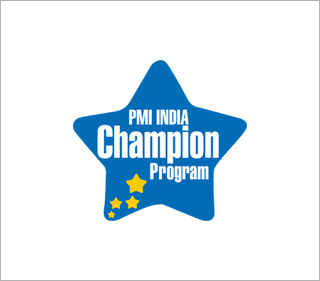 The effort was led by PMI India Champion Suman Das and PMI India Senior Champion Jaydeep Chakraborty. Eight professionals from organizations like IBM, Genpact, Cognizant, Accenture, Deloitte Touche, and KEC International participated in the session.